Earlier this year LinkedIn finally introduced native video, somewhat behind our friends on other social networks. 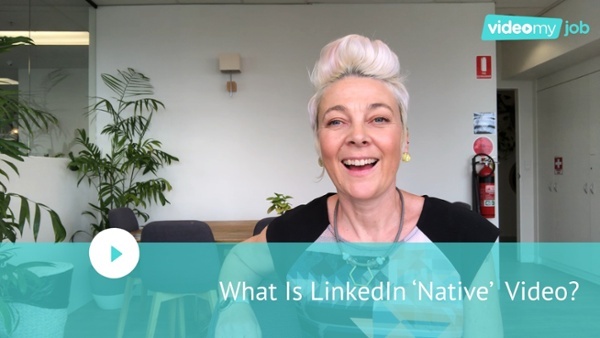 When used correctly LinkedIn native video has the potential to increase your visibility, your credibility and your brand awareness. How you are perceived publicly (your personal brand) is crucial in recruitment and talent acquisition, video can help you showcase your knowledge and expertise to win clients, attract talent and increase your influence both internally and external to your business. Because most people engage on LinkedIn through text features like updates or messages, the network and it's news feed can feel very impersonal. When people can’t see your face or hear your tone of voice you lose an opportunity to connect personally. Talent is more likely to connect with you, or to connect better with you, after ‘meeting’ you on video. To upload a LinkedIn native video, look for the video icon in the ‘Share’ field on your mobile or desktop. 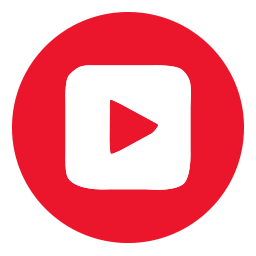 Click on the video icon and the app will take you to your camera, you can record a video on the fly or you can choose one you prepared earlier (using a tool like VideoMyJob) to upload. Click on the video icon and a window will open allowing you to search for video on your desktop device or any of your cloud storage options. Keep in mind, the minimum video length is three seconds, maximum is ten minutes. Maximum file size is 5 gigabytes. To download your video from the VideoMyJob dashboard; navigate to your video on desktop and click on the green download button. To download your video in-app, tap the two dots at the top of your screen, hit ‘save video’ and the video will save to your device's gallery. For a step by step guide with video, visit the Help Hub. Remember, people have short attention spans, there’s a sweet spot depending on what you’re sharing or promoting, you should definitely experiment, but we find for video job ads that sweet spot is around 90 seconds. 2. A video is not enough, you need to write a post too! Make sure you include text in your update. Personally I’m a reader, for my fellow word-nerds I like to add a few teasers that make people want to watch the video, and I include the call to action in the post text as well as the video’s final caption strap. Just like text or image updates, tag people if you mention them and include relevant hashtags. You have 1200 characters to work with, use them! If you’re tagging people, especially influencers, do it with context, such as a question or compliment, don’t just paste 20 names at the bottom of your post. Video, like updates, eventually disappear from your feed, if you’re trying to measure the ROI of your video efforts you need to be able to find that post again. If you’re not measuring your ROI with UTMs and an analytics platform you need to start doing that, now. Use a hashtag that only you (or your company) is likely to use. The occasional live, spontaneous video can be effective, depending on your brand persona - but do me a favour and at least record in landscape so those black bars don’t crowd you in! Spend some time creating and editing your video before you upload it - it’s so easy now to make a quality branded video, even to add closed captions, it will do more for your brand, your message and your credibility. VideoMyJob is the easiest all-in-one video editing app - it’s got a teleprompter, position guides, audio optimisation, all the tools you need to trim, split, import videos and images and add text captions. 5. Can I be professional and authentic? LinkedIn is a business networking platform - that doesn’t mean you have to be a corporate robot! Know your audience, know your own and your company’s brand values and keep your content inline and relevant to the brand you’re building on LinkedIn. Use LinkedIn native videos to introduce yourself and your company and talk about how you can help your viewers. Create videos that answer common FAQs in your industry - how-to negotiate a salary, how-to dress for an interview, explain your recruitment processes, promote a webinar or a advertise a career fair you’re attending. Don’t forget to include the link for more info, registration or applications. Your company, the influencers within your company and your employees (provided they have permission and access as an administrator) can share video on LinkedIn Company Pages (as well as to their own personal profiles). As with any piece of content on LinkedIn – you need to make sure your video shares valuable content (and isn’t just a sales pitch). You might share testimonials, case studies, employee stories & celebrations and holiday wishes. With video you have a great opportunity to showcase your company’s influencers, culture, products, news and events. You can also sponsor native video so that the audience you want to reach will see the content. If your company page only has a small following, sponsored video could help you reach more people. We are firm believers in engaging with employees to build brand and social selling networks - with a tool like VideoMyJob you can empower every member of your team to be a creator and amplify your messaging with a multitude of videos (no ad spend necessary). Video is an effective way to amplify your brand and increase your leads - no matter what flavour your leads are - are you using the right tools to create professional, on-brand video content?